Ref: Euro 90 TB Gitterbox. 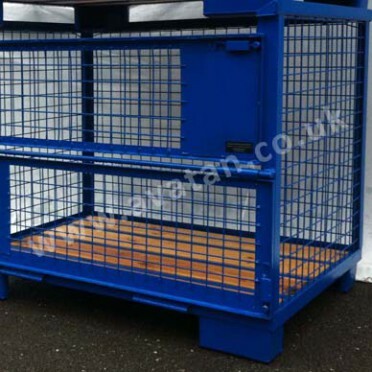 Standard Euro style gitter cage pallet with standard European timber deck, also known as gitterboxes. 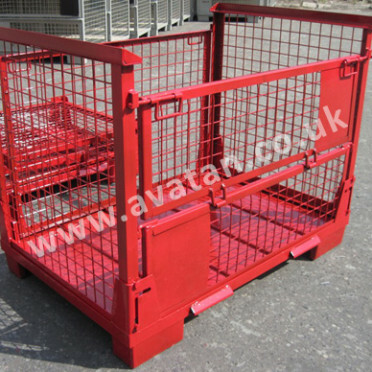 Rigid cage pallet with half drop gate on one long side. Unit having mesh sides and steel braced base overlayed with timber decking. Fitted with a sturdy stacking rim. Suitable for 1500kg u.d.l. 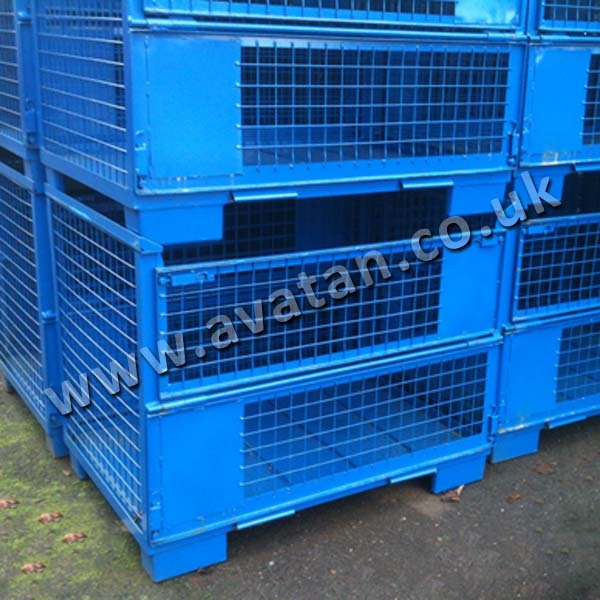 per pallet or suitable for 1000kg u.d.l. per pallet stackable five units high. Available for sale or hire. Also optionally with hot dip galvanised finish instead of painted finish. 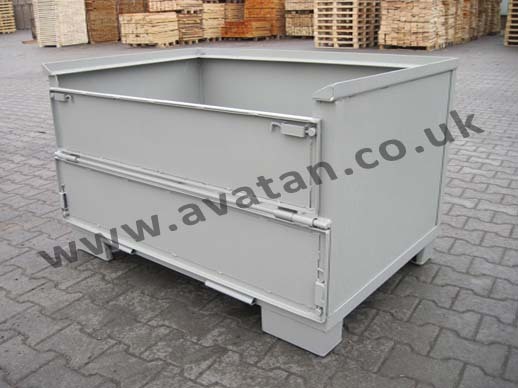 These stillages are available with corrugated sheet steel deck, see Euro 90 SB. Fully collapsible option also available, see Euro 91. 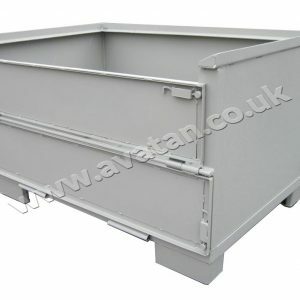 Generally held as a stock item with sheet steel base. Regularly available from second hand stocks. 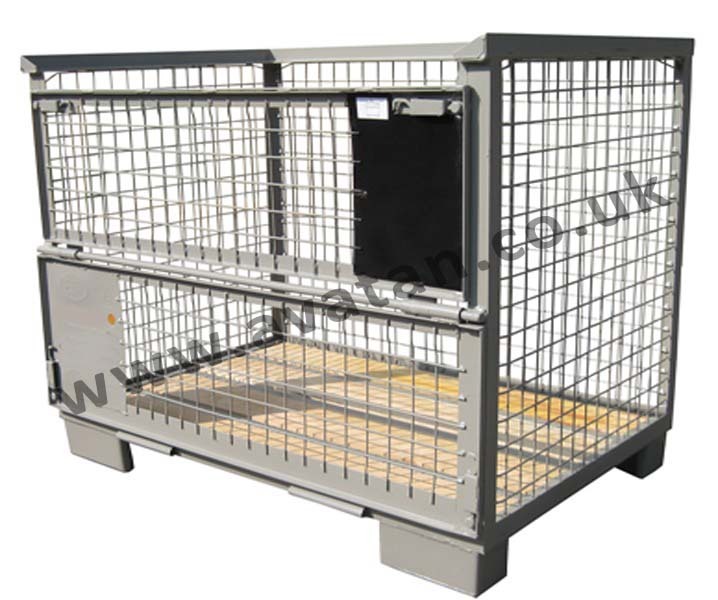 Stocks of grey Euro 90/TB/PP Cage Pallets suitable for the European Pallet Pool with timber deck, see grey cage pictured below, fitted with UIC EPAL name plate and sequential numbering are generally immediately available. 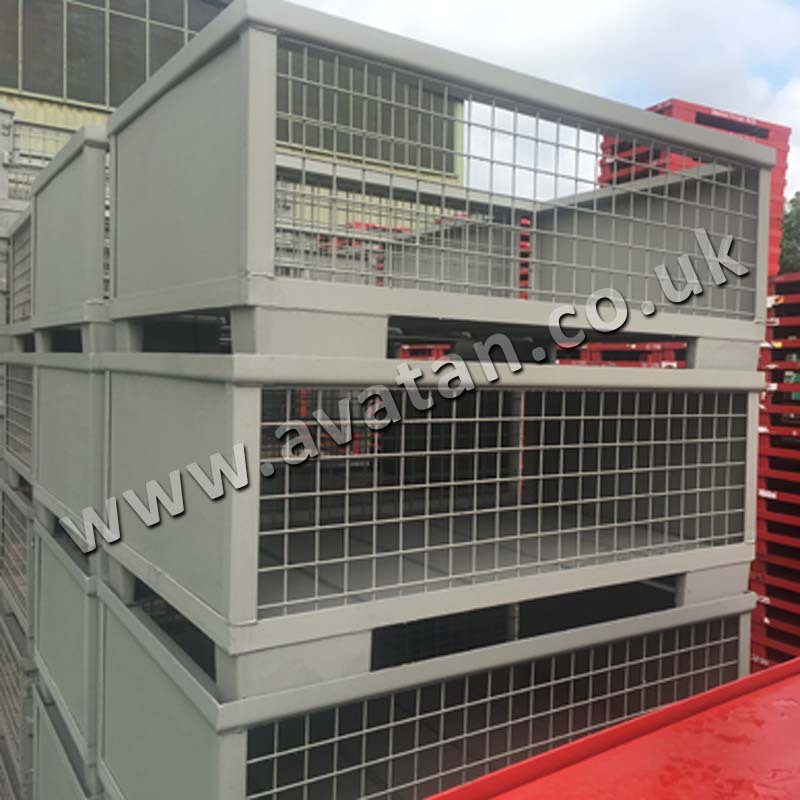 (Only suitable for European pallet pool with timber deck and load plates, painted grey). 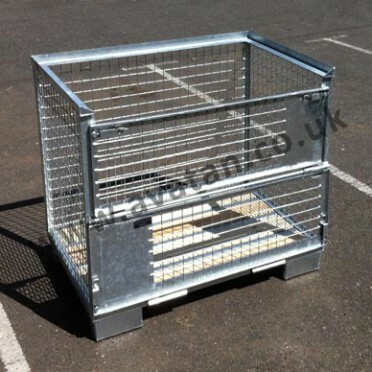 Euro cages gitter boxes with mesh or solid sides are also available 500mm, 570mm and 640mm overall height. These may be supplied with four fixed sides or with a full height hinged shelf. Please ask for details.